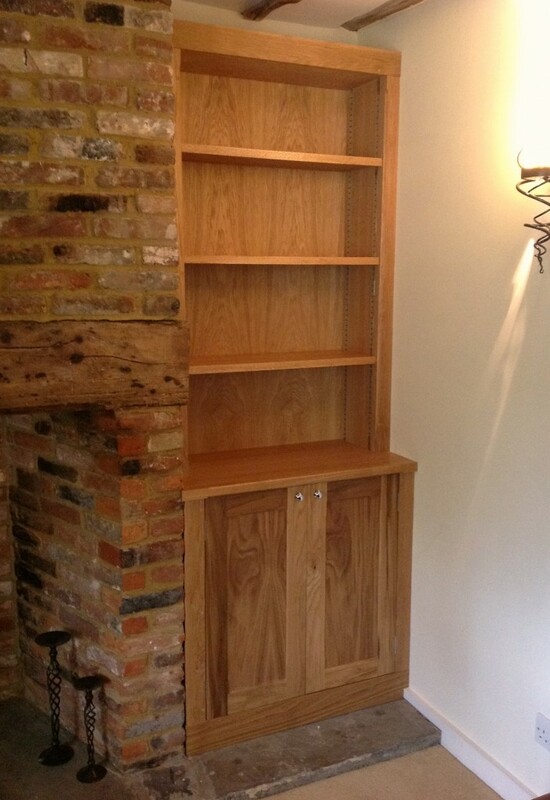 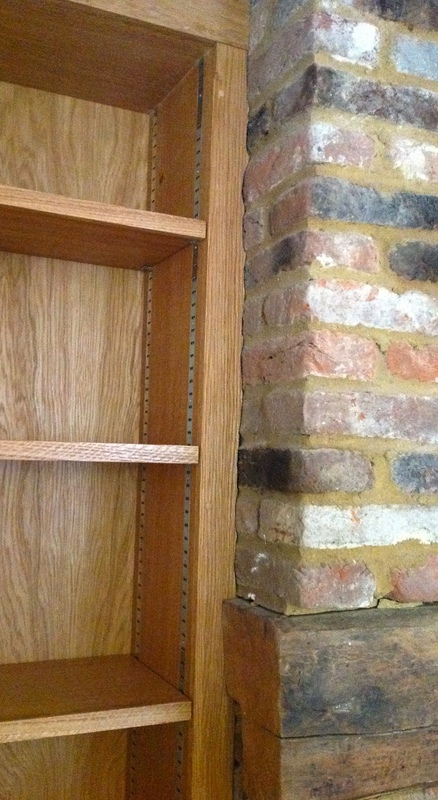 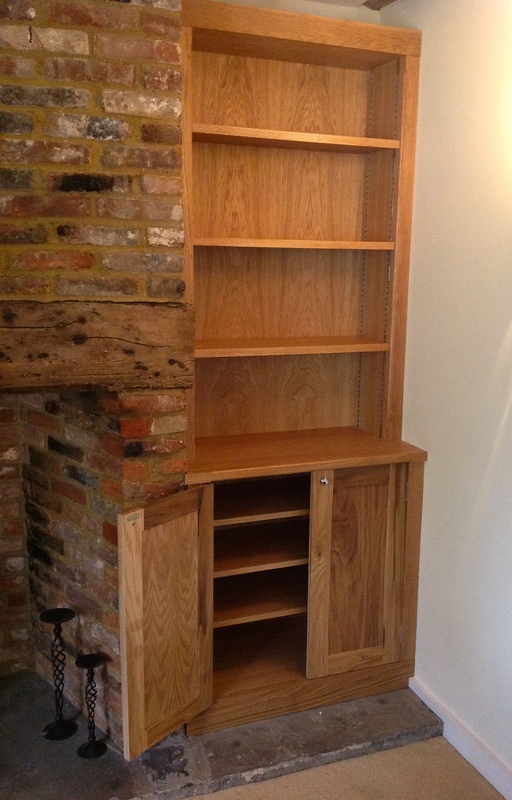 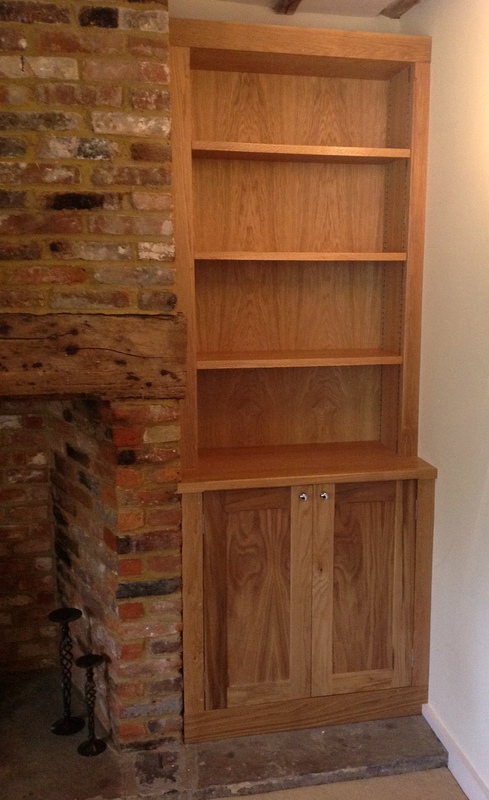 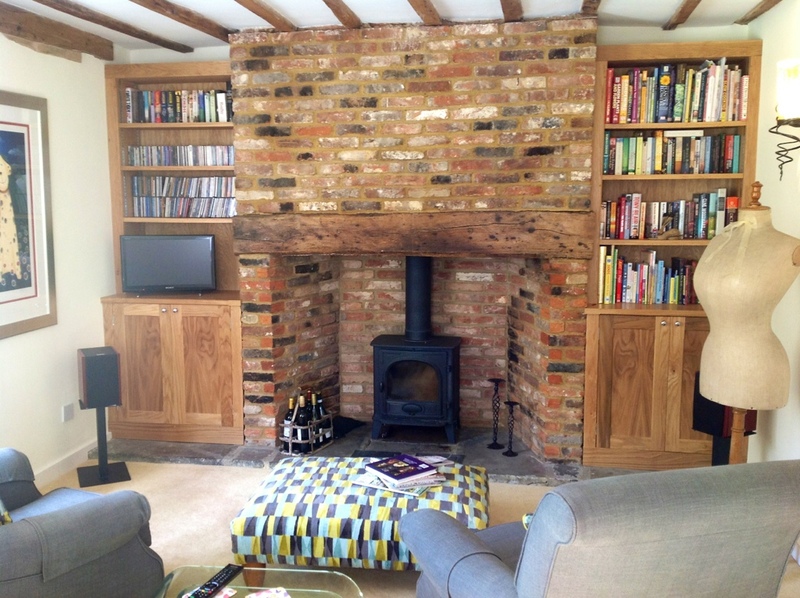 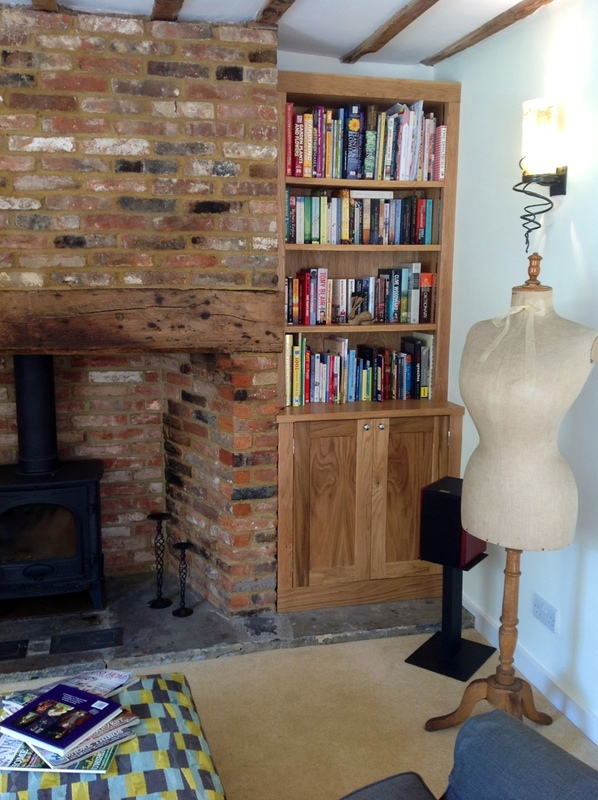 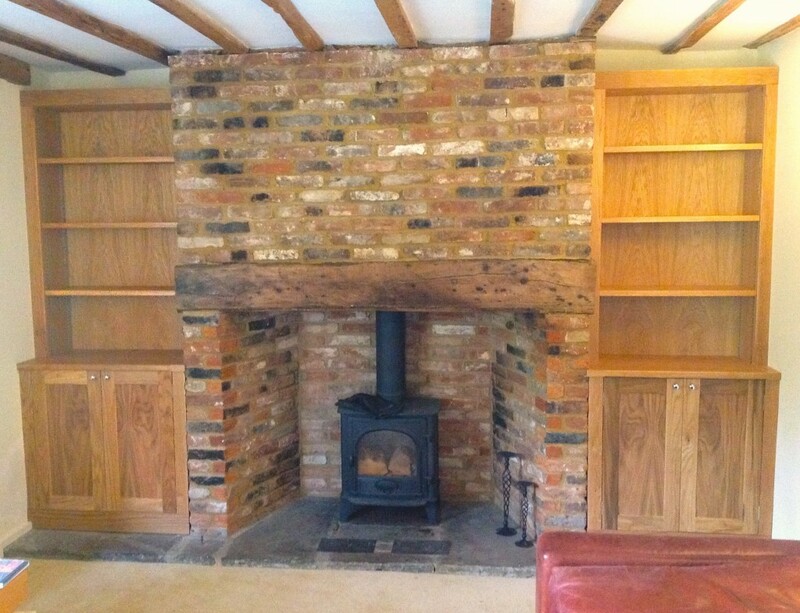 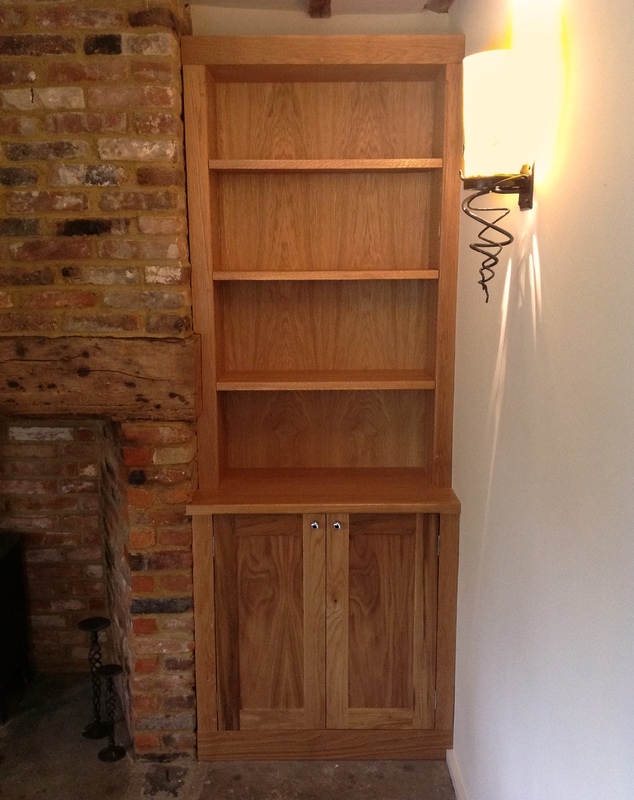 These oak bookcases where designed to make use of the two deep alcoves either side of the timber and brick fireplace. 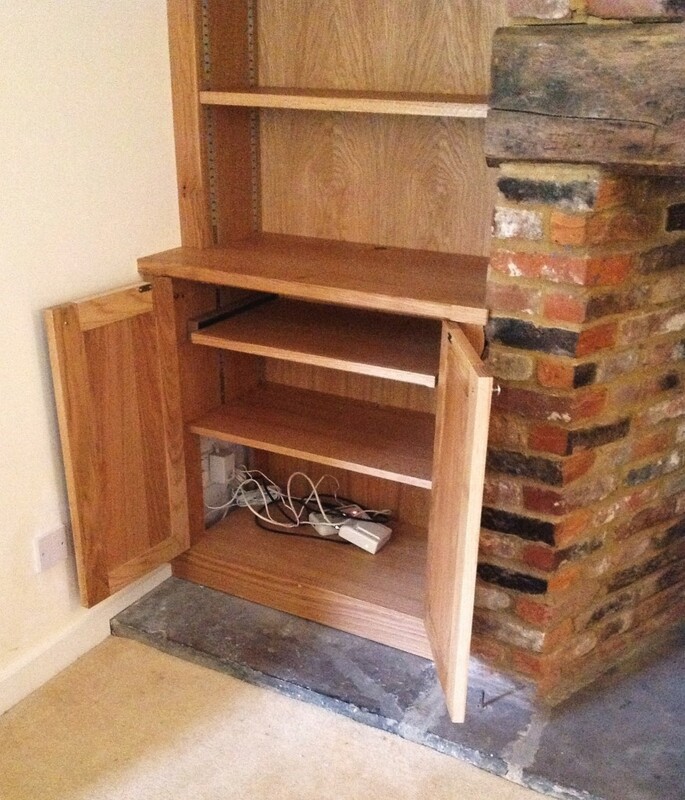 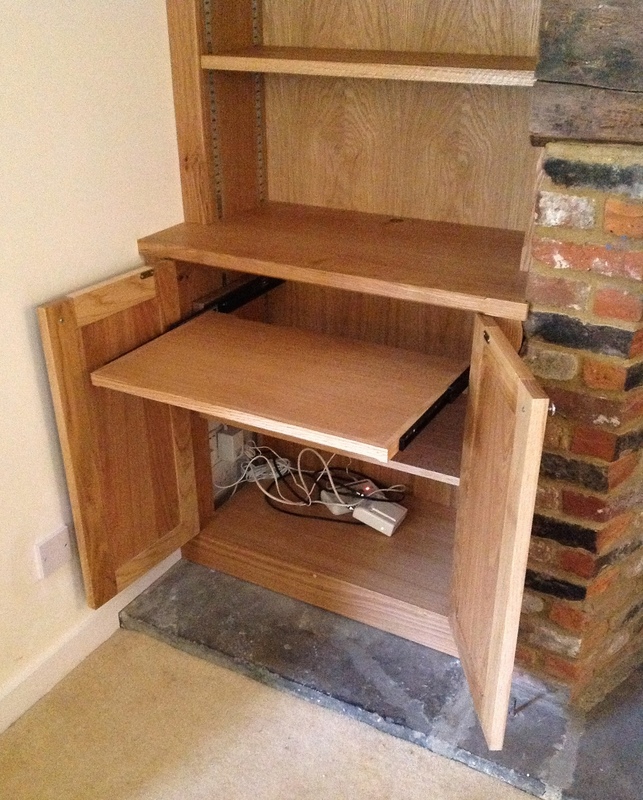 On the left hand bookcase the client wanted to incorporate the plug and audio sockets on the existing wall to be fed through the side of the bookcase that was made to house his record player and stack audio system. 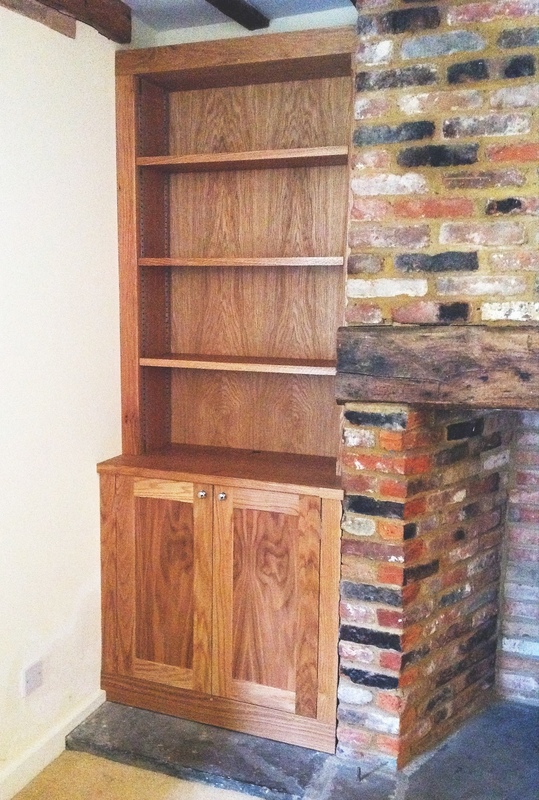 The right hand bookcase has plenty of room for books and ornaments on the open top shelves and more space below to house a cd collection. 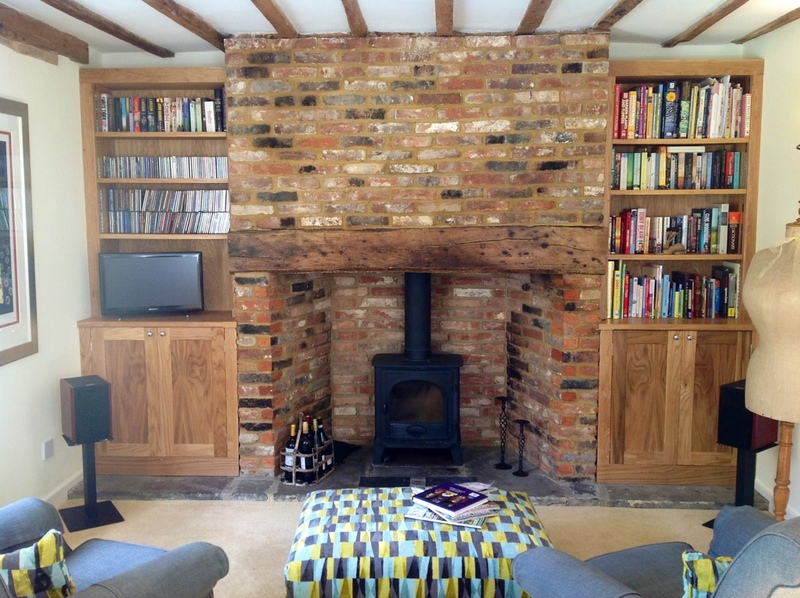 The natural oak now gives this room a warm glow. 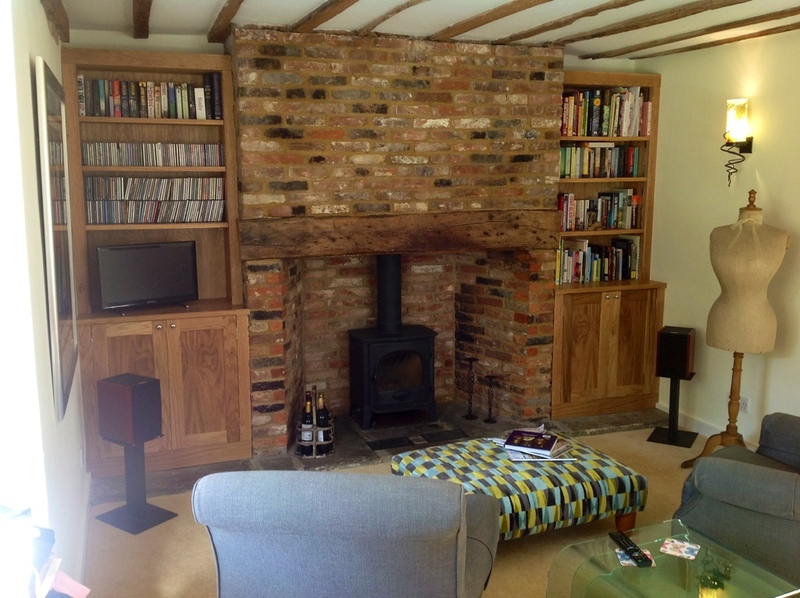 The style and functional design answered all the clients needs.